Well-built cars save lives. This was borne out by a recent crash in Kerala which saw a Volkswagen Vento sandwiched between two trucks. The video below and accompanying images will give you an idea of the sheer impact the Vento sedan took, and saved its passengers. The narrator in this video is speaking in Malayalam. He’s saying that there were two out-of-state trucks involved in this accident. The Vento ran into the rear of the one truck while the other hit it from behind, effectively sandwiching it. The video shows one of the truck involved in this crash, which can be seen parked in front of the Mahindra Bolero pick up. The other truck fled after the accident. The narrator also expresses surprise that none of the occupants of the Vento were hurt despite the car taking such a large impact. He goes on to say that it was the car that saved everyone in it. This crash is a perfect example of how crumple zones work during accidents. 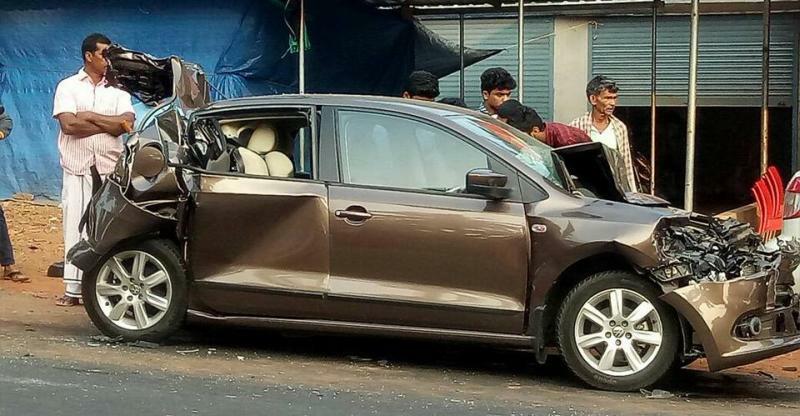 The Vento in question may be a total-loss due to the impact it has taken, but the front and rear crumple zones of the car have done their job of absorbing the impact and deforming. This deformation is what prevents the force of the impact being transferred to the occupants of the vehicle. The other great bit about the Vento is its solid body structure that stays intact even during massive impacts, protecting its occupants. A solid/stable body structure or passenger compartment isolates the passengers from the crash. 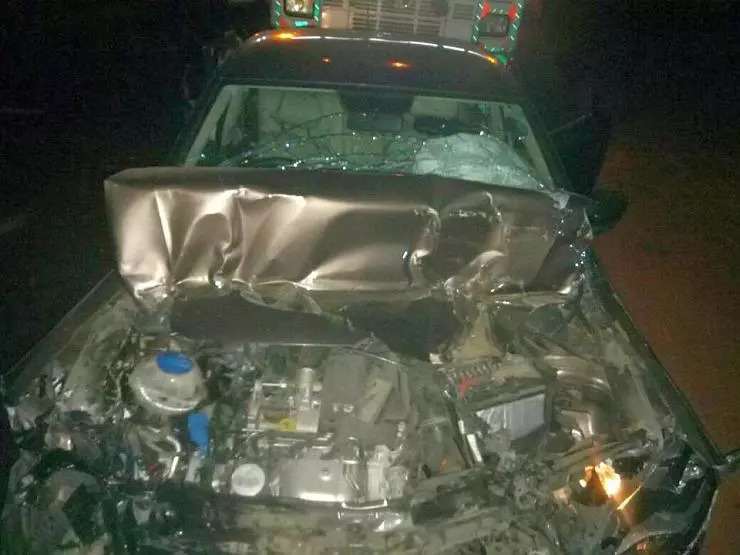 Along with seatbelts and airbags, a solid body structure is one of the reason why the passengers in the Vento escaped this crash without injury. A lot of car makers compromise on the body structures of the car by using lower strength metal, and lighter chassis designs. They do this to reduce the cost of the car (both to manufacture and sell), and to increase fuel efficiency. However, many automakers such as Volkswagen, Skoda, Fiat and Ford are known to build cars in India with strong and stable body structures that can protect passengers during big accidents. Crash tests by Global NCAP have clearly indicated this. India is yet to get such crash test ratings although the upcoming Bharat New Vehicle Safety Assessment Program (BNVSAP) is expected to crash test cars and certify them with a ‘pass’ or ‘fail’ rating. It’ll be great if the BNVSAP offers a comprehensive crash test rating such as the one offered by Global NCAP or Euro NCAP (that also indicates the stability/strength of the body structure).